The AMBIKA is our darkest mouthpiece. It has a deep, hauntingly gorgeous tone that only poetry can describe. The AMBIKA has a HUGE True Large Chamber, no baffle, and rounded inner-side-walls. It has the full bodied sound of vintage 1940's mouthpieces, but will project enough to fill the room if needed. The Chamber and Baffle are far more accurate than other vintage and new mouthpieces due to our superior machining, which means a better playing mouthpiece. The Metal AMBIKA is plated with 24K gold with Vintified Ligature. The Hard Rubber AMBIKA uses real vintage style hard rubber just like the vintage mouthpieces of the 1940s through 1960s. If you like the vintage sound, your will love the AMBIKA. Built to outplay Theo's very best Vintage New York Tone Master and Master Link Otto Link. Theo succeeded!!! A deep and haunting sound best left to poetry. Hauntingly dark! Revolutionary in improving upon the true vintage sound! Revolutionary Extra Large True Large Chamber, NO baffle, and rounded inner side walls. Crafted to the highest accuracy in the history of saxophone mouthpieces. 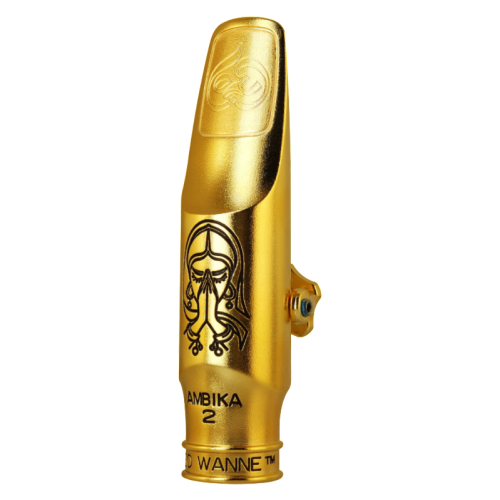 Designed by Theo Wanne, the foremost expert on the design and manufacturing of vintage and new mouthpieces. Case: Beautiful Leatherette Case! Like the case? See our other mouthpiece and reed cases here! Finish: Reticulated 24K Gold with aqua highlights on globe logo (standard), and Vintified (special order). 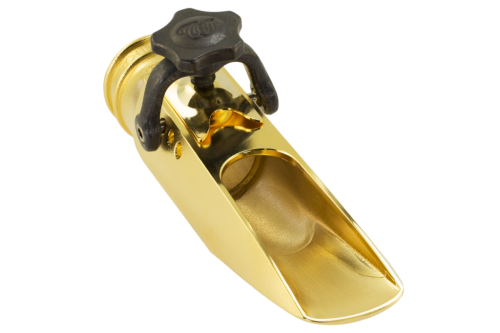 Serial Number: Includes specific serial number showing care given to your mouthpiece. Premium Hard Rubber: The Hard Rubber AMBIKA uses the finest vintage style hard rubber on the planet! Ligatures: The metal AMBIKA includes our integrated two-point contact Vintified™ Liberty Ligature and Alive Gold pressure plate. We recommend the Enlightened Ligature for the Hard Rubber AMBIKA. 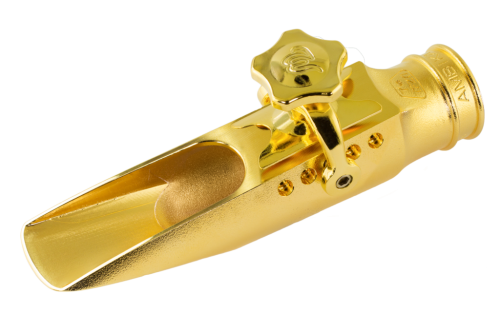 To truly individualize your sound, try our premium pressure plates, which fit all of our mouthpieces and ligatures! Cap: Reed Replacer Cap. The most secure cap in the world. Bite Pad: Our user replaceable bite pads, allow you to peel and stick on new bite pads. Try our varying hardness bite pads to personalize the feel.